Only Nationwide gives UNOH Alumni an exclusive discount on insurance! On top of the exclusive discount, you can save up to 20% more when you bundle auto and home insurance! Save even more when you add Vanishing Deductible! Click here to start saving! 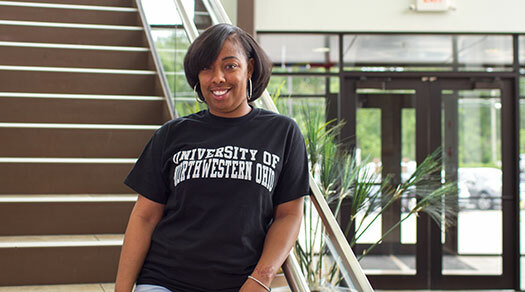 UNOH has partnered up with Quicken Loans to provide UNOH alumni with an exclusive Mortgage Insiders Team in addition to discounts and benefits! Home Financing Discount - When you either refinance or purchase a home, you will receive a check for $500 after closing. It's that simple. Financial wellness program - Free access to financial education series available exclusively for Mortgage Insiders members. The Mortgage Insiders send articles, hold webinars, and provide special offers from business partners too you. Complimentary mortgage reviews - You can call Quicken Loans 24/7 for a free mortgage review (includes credit report and score - BONUS)! To see if you can benefit from this offer, please contact our dedicated UNOH Mortgage Insiders team at (800) 761-2755 or https://VIP.QuickenLoans.com/unoh. The following benefits are only available to registered Alumni Association members. You can register for the Alumni Association for free by filling out the form here. By registering for the UNOH Alumni Association, you will be sent a complementary Alumni ID card. This card identifies you as a UNOH Alumni and may be needed to receive a discount at many of our local discount providers. The following discounts can be obtained at specific businesses here in Lima, OH. As the UNOH Alumni Association benefit program is new, we are constantly looking to add more local and national discounts. Be sure to check in every once in a while as we are always adding more discounts!